Becky Barta* (Mama) is thrilled to be making her Infinity Theatre debut in this beautiful play! New York credits include Broadway/National Tour: LES MISERABLES (Mme Thenardier), several seasons as Mrs. Claus in the RADIO CITY XMAS SPECTACULAR and many Off-Broadway shows including FRANKENSTEIN (cast recording), MEET ME IN ST. LOUIS, SESSIONS, several editions of FORBIDDEN BROADWAY and ALWAYS, PATSY CLINE in which she has also performed across the country in over 20 productions as both the title role, Patsy and Louise, her fan. 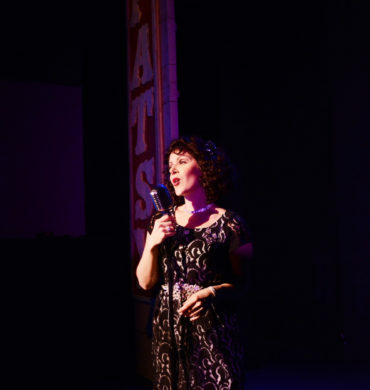 Favorite regional roles include Miss Shields in A CHRISTMAS STORY (Kansas City Repertory Theatre), Charlotte in MOON OVER BUFFALO, Trina in FALSETTOLAND (Unicorn Theatre), Mme. Arcati in BLITHE SPIRIT and Maggie in 42ND STREET (Merry-Go-Round Playhouse). Becky has recorded her own CD, CRAZY AND THEN SOME celebrating her love of this very genre of music with her husband, drummer/bassist, David Sonneborn. Love to family and thanks to Eisen & Assoc., Michael Cassara, the Ostroffs and Randal Myler for including me in this celebrated array of artists. Mississippi Charles Bevel* (Tee-Tot) professional productions include, IT AIN’T NOTHIN’ BUT THE BLUES (Lincoln Center Theatre and Seattle Repertory Theatre, et al); LET ME LIVE (Goodman Theatre); THE PIANO LESSON (Karamu Performing Arts Theatre); I AM A MAN; THUNDER KNOCKING AT THE DOOR (Meadow Brook Theatre); FAMOUS ORPHEUS (Geva Theatre); MA’ RAINEY’S BLACK BOTTOM (Plowshares Theatre Company); POLK COUNTY (McCarter and Berkeley Repertory Theatres); STORIES ABOUT THE OLD DAYS (St. Louis Black Repertory Theatre Company); FIRE ON THE MOUNTAIN (San Diego Repertory, Northlight Theatre, Actors Theatre of Louisville and Denver Center Theatre Company). I JUST STOPPED BY TO SEE THE MAN (Alliance Theatre) Awards: Woodie Award “Outstanding Lead Actor”—St. Louis (2005); Jeff Awards “Best Actor in a Revue”—Chicago (2005 and 2007); Nominations: Tony Award—New York (1999), Helen Hayes Award—Washington, DC (2001), Suzi Bass Award—Atlanta, GA (2012). Michael R. Douglass (Pap) is excited to be working at the adventurous Infinity Theatre Company with this great cast. 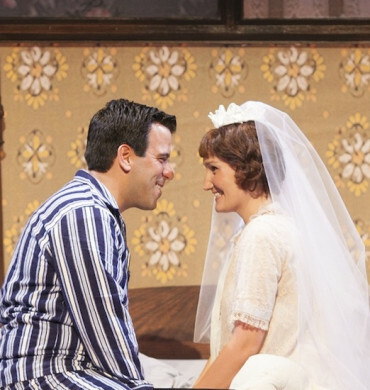 NY Theater: LOVE'S LABOUR'S LOST (NYSF, Alex Timbers, director), RAGTIME, TWO SIZES TOO SMALL (Fringe), SANITY IS SUBJECTIVE (45 Bleeker St.), BURIED CHILD, O SAY CAN YOU SEE, THE IMPORTANCE OF BEING EARNEST. 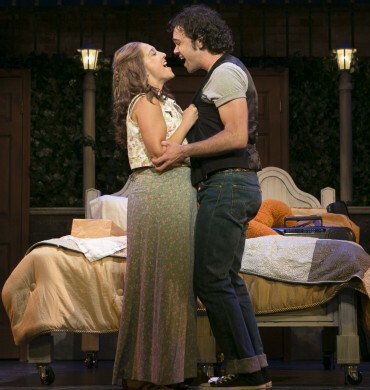 Regional: THE IMMIGRANT (Mark Harelik, playwright), LEND ME A TENOR, MY FAIR LADY, PLAZA SUITE, TWELFTH NIGHT. Upcoming: ANYTHING GOES (National Tour Fall 2014, Kathleen Marshall, director) TV/Film: BIG, SIGNIFICANT THINGS, GIRL CODE, RUNNING WITH SHARKS, MONSTERS INSIDE ME, TRUE CRIME, EVIL, I. Thanks to Randal, Anna, and Alan and the creative team. Shout out to my daughters, Ashley and Sabrina, and my beautiful granddaughter, Abigail. H. Drew Perkins* (Leon) is so glad to be doing his first show at Infinity Theater Company. Mr. Perkins has music directed and acted in SMOKE ON THE MOUNTAIN, KEEP ON THE SUNNY SIDE, SANDERS FAMILY CHRISTMAS, FAIR AND TENDER LADIES, COTTON PATCH GOSPEL, SMOKE ON THE MOUNTAIN HOMECOMING, ALWAYS...PATSY CLINE, and LOST HIGHWAY. Other favorite musical gigs were LIES AND LEGENDS (with Steve Anthony), "HONKY TONK ANGELS (with Becky Barta), and Randel Mylars' IT AIN’T NOTHIN’ BUT THE BLUES (with Mississippi Charles Bevel). Drew has written musical commissions for the Alabama Shakespeare Company production of Truman Capotes' HOLIDAY MEMORIES, and the Barter Theaters' production of SWAMP GAS AND SHALLOW FEELINGS. Drew studied viola at Webster University in St. Louis, and golf at every stop around the country. 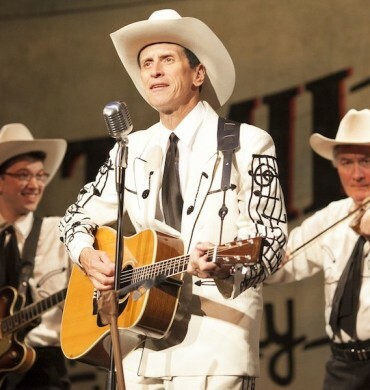 Jason Petty* (Hank Williams) was hand-picked by officials at the world famous Ryman Auditorium in Nashville for the role of Hank Williams in 1996. Thus began a career that has seen him play the role over 1,000 times all over the US, Canada and Europe. His pre-Hank career saw stints in local and regional productions of "Oklahoma," "Les Miserables,""Li’l Abner" among others. 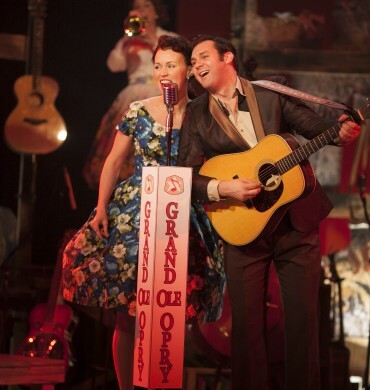 After landing the Williams role in Nashville, Jason was invited to perform on the Grand Ole Opry over a dozen times and many national TV and radio appearances as well. 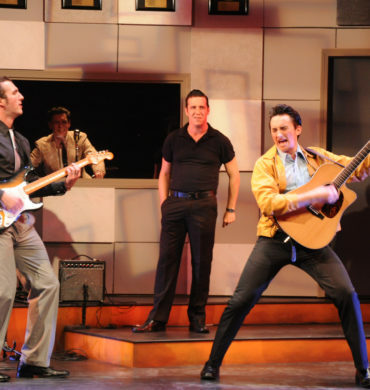 Jason was honored to perform the role of Hank in 2002-3 in the Off Broadway version of "Hank Williams: Lost Highway," for which he won the coveted Obie Award. That performance paired him with award-winning writer and director, Randal Myler. Since the Off-Broadway version of HWLH ended, Jason has written several shows that have been touring the country non-stop now for 11 years. 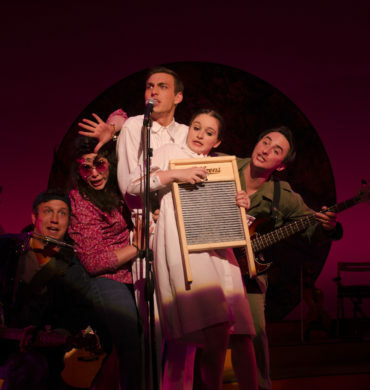 In 2013, Jason was asked to play Stephen Foster in the world premiere of the musical “Beautiful Dreamer.” Petty now makes his home in rural Tennessee with his beautiful wife, Hope, and their two children, Loralei (7) and James (4). You can find out more about Jason at his website, www.jasonpetty.com. Jason is extremely proud to be returning to the role of Williams and being reunited with his friend and mentor, Randal Myler. Thanks to Anna and Alan Ostroff for making this happen! Finally, none of this would be possible without the legendary life and music of that Hillbilly Shakespeare, Hank Williams. Thanks to Hank! Now on with the show! Zack Steele (Jimmy/Acting Intern) hails from Cincinnati, Ohio and is a recent graduate of Wright State University in Dayton, having completed his training with a B.F.A. 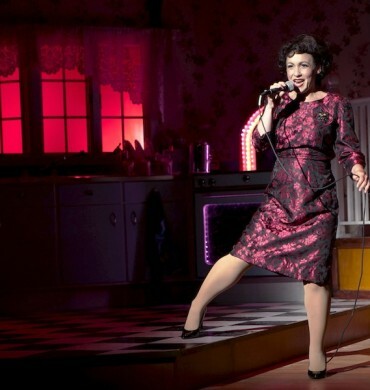 in Acting with an emphasis in Musical Theatre. Steele has worked professionally across the Mid-West with such companies as: The Human Race Theatre Company, Short North Stage, and The Carnegie Visual & Performing Arts Center. In addition, he spent his last summer at the Arundel Barn Playhouse in beautiful Arundel, Maine. Some of his favorite credits include: LES MISERABLES (Marius), ALL SHOOK UP (Dennis), FOLLIES (Young Ben), ORDINARY DAYS (Warren), and BIG RIVER (Huck Finn). He is thrilled to be joining the Infinity team and to be returning to the East Coast for the summer! He would like to thank his friends, family, and mentors for their constant support of his artistic ambitions! 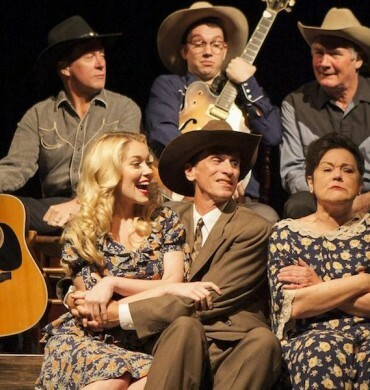 Russ Wever (Shag) plays the Steel Guitar, the instrument that puts the 'cry and the moan' into Hank Williams music and is pleased to be getting back on the LOST HIGHWAY while making his first appearance at Infinity Theatre. Russ has performed at The Grand Ole Opry, is a favorite at the annual International Steel Guitar Convention and has appeared in numerous musical theatre productions, including the Off-Broadway production of HANK WILLIAMS: LOST HIGHWAY, ALWAYS . . PATSY CLINE, URBAN COWBOY, HONKY-TONK ANGELS and others. 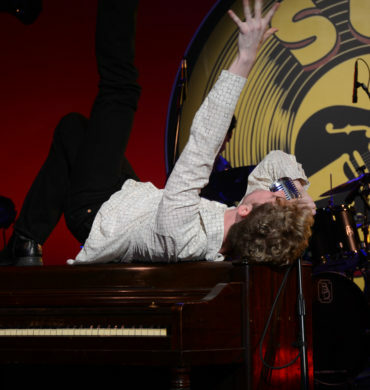 When not performing in musical theatre, Russ is popular at various steel guitar concerts throughout the country. Born and raised near Chicago, Russ and his lovely wife Carla currently reside near Kansas City with their two adorable yorkies. 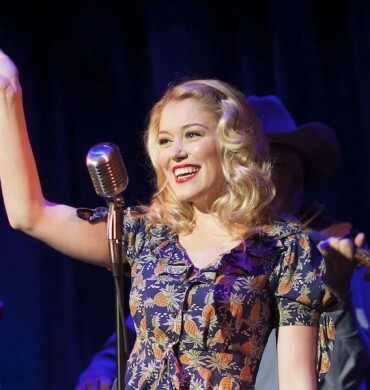 Samantha Whitbeck (Waitress/Acting Intern) is thrilled to be a part of Infinity Theatre Company’s 5th season and HANK WILLIAMS: LOST HIGHWAY. She is a recent graduate of the University of Central Oklahoma with a BM in Music Theatre. 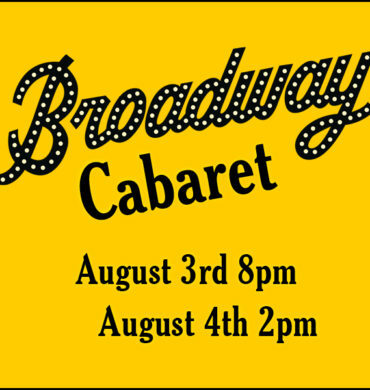 Favorite roles include ORDINARY DAYS (Deb), CABARET (Sally), JOHN AND JEN (Jen), WORKING (Grace Clements), SEUSSICAL (Bird Girl), and ANYTHING GOES (Angel, Reno u/s). She is so grateful for this opportunity and much love to her family and friends for their steadfast love and support. Rachel Womble (Audrey/Acting Intern) is a recent graduate from the NYU Steinhardt Masters Program in Music Theatre Performance. She completed her undergraduate degree in vocal performance at Rice University in Houston, Texas. Professional credits include Philia in A FUNNY THING HAPPENED ON THE WAY TO THE FORUM, and Dainty June in GYPSY. 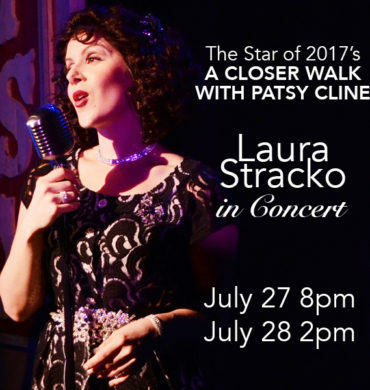 At NYU she was seen as the femme fatale Alaura Kingsley in City of Angels, a soloist in BEGUILED AGAIN: THE SONGS OF RODGERS AND HART, playing Bobo the clown in the ensemble of SWEET SMELL OF SUCCESS, and most recently as Julie Jordan in CAROUSEL. This is Rachel’s first time working with Infinity and she couldn’t be more excited! Randal Myler (Director/Co-Author) was nominated for a Tony Award for 'It Ain't Nothin' But The Blues (Director/Co-Author) at Lincoln Center and the Ambassador Theater; nominated for an Outer Critics Circle Award for "Hank Williams Lost Highway" (Director/Co-Author) at the Little Shubert; and his hit musical on the life of Janis Joplin ran for over two years at the Village Theater (Director/Author). 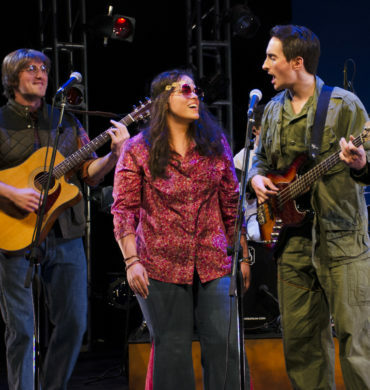 His musical "Fire On The Mountain" (based on interviews and the music of coal miners) was nominated for five Jeff Awards in Chicago and his musical "Touch The Names: Letters To The Vietnam Veterans Memorial" has been staged at several major regional theaters. Mr. Myler has guest directed throughout the country, including the Kennedy Center, the Actors Theatre of Louisville, the Arena Stage, the New Victory Theatre, the Mark Taper Forum, the Seattle Rep, the Denver Center, Northlight Theatre, the Old Globe in San Diego, the Alley Theater in Houston, the Arizona Theater Company, the Cleveland Playhouse, the Cincinnati Playhouse, the Dallas Theater Center, the Grand Ole Opry's Ryman Auditorium, Arkansas Rep, Meadowbrook Theater, Laguna Playhouse, Theatreworks in Palo Alto, Crossroads Theater, the Barter Theater, Kansas City Rep, San Diego Rep and many others. Later this season he will be directing the world premieres of both "Mama Hated Diesels" (songs and interviews of the American truck driver) at the Denver Center (also Co-Author) and "Lowdown Dirty Blues" (also Co-Author) at Northlight Theatre. Leah Loukas (Hair and Wig Designer) Broadway Wig Designs: A NIGHT WITH JANIS JOPLIN, VANYA AND SONIA AND MASHA AND SPIKE, AMERICAN IDIOT, IRENA’S VOW. Infinity 2013 Season. The Public Theater’s Shakespeare in the Park: INTO THE WOODS, LOVE’S LABOUR’S LOST. 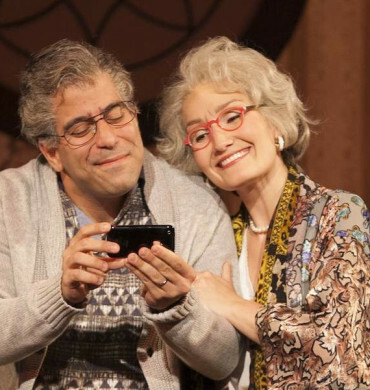 Manhattan Theatre Club: WHILE WE WERE YOUNG AND AFRAID. 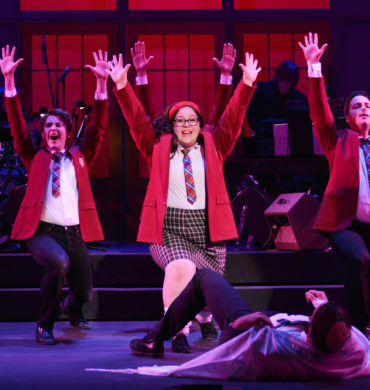 Off-Broadway: HEATHERS: THE MUSICAL, BARE: THE MUSICAL, CHECKERS, CARRIE: THE MUSICAL, TRIBES, THE DANCE AND THE RAILROAD. Paper Mill Playhouse: THE SOUND OF MUSIC, THE LITTLE MERMAID, OLIVER!, SOUTH PACIFIC, GREASE. Hartford Stage: SOMEWHERE, ABUNDANCE, BOEING, BOEING, THE 39 STEPS. Goodspeed Opera House: SHOW BOAT. American Repertory Theater: WITNESS UGANDA. Dallas Theater Center: FORTRESS OF SOLITUDE. Associate Designer: MOTOWN: THE MUSICAL. Wes Shippee (Sound Designer) is an NYU graduate and Drama Desk-nominated sound designer, audio engineer, and musician. 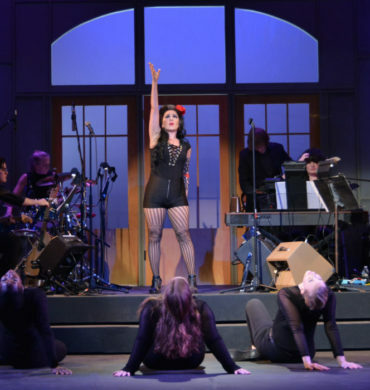 Notable projects include the Radio City Christmas spectacular and eight years of work with RadioTheatre, garnering multiple New York Innovative Theatre awards. Wes returns this year for his fifth season with Infinity, and you can find him performing on Monday nights at O'Brien's in downtown Annapolis this summer. For more information, visit www.Wes.sh. Carol A. Sullivan* (Production Stage Manager) returns for a 3rd Infinity season following DAMES AT SEA (2012); ALWAYS, PATSY CLINE; SHE LOVES ME (2013). Annapolis is a fun summer place that compliments her credits that include Broadway, Off-Broadway and beyond. In addition to production work, she is an adjunct faculty at Lehman College/CUNY, Theatre Dept. Technical Theatre Workshops. Gregory Ryan Jr. (Production Manager) is a Penn State graduate with his B.F.A. in Stage Management. This is his second season as Production Manager with Infinity Theatre Company. He is also the event Production Manager with VCI WORLDWIDE and H+G PRODUCTIONS. Stage Management Credits include; Off-Broadway credits: MISS ABIGAIL’S, GIRL TALK, and NORMAN DOESMEN . His Regional credits: THE LARAMIE PROJECT – EPILOGUE, CTRL + ALT + DELETE, WAIT UNTIL DARK, THE DINING ROOM, and OKLAHOMA!. Gregory is a proud member of The Hive Theatre Company, Royanth Productions, and Actors Equity. Will Cotton (Technical Director) is a lighting designer and production manager from New York City. Originally from Alabama, he is currently getting his MFA in lighting design from NYU. Favorite past credits include THE VIOLET HOUR, THE SEAGULL, WONDER OF THE WORLD, JOURNEY TO AMERICA, and THE ROSE TATTOO. Laura Perez* (Stage Manager) is thrilled to be joining Infinity Theatre Company! She has been working professionally as a stage manager since 2008. Past work includes: THE COTTAGE with Astoria Performing Arts Center, SLIPPING with Rattlestick Playwrights Theater, THE AUTUMN GARDEN with Antaeus Theatre Company, and LEAP OF FAITH, OLEANNA and THE LITTLE DOG LAUGHED with Center Theatre Group of Los Angeles. She holds a BFA in Stage Management from the University of Southern California and is a proud member of Actors’ Equity. Kenann Quander (Wardrobe Supervisor) is an area Costume Designer, who has worked for some of the largest theaters in the area, Shakespeare Theater of Washington D.C., Arena Stage, Signature Theater and managed Wardrobe for such production companies as Cirque, and Troika Productions. I love working in the realm of theater and would never consider doing anything else. I've always favored the unconventional and theater allows me to be just that. Laura Genson (Prop Master/Scenic Charge) - Graduated with a BFA in Theatre Design from Rutgers University. She currently does scenic painting and props in the Washington D.C./Baltimore area. Theatres she has worked for include: Wolf Trap Opera Company (D.C./VA), The Scottish Ballet (England), The Queen Elizabeth Theatre (England), University of Maryland Baltimore County, and University of Maryland College Park to name a few. Her artwork has also been showcased in Miami, FL. Amanda N. Beckett (Production Intern) is a student at CUNY Lehman College working on her BA in Theatre. She has been a stage manager and assistant stage manager for productions such as the 2014 SPRING DANCE CONCERT, IN THE HEIGHTS, STREB, and LIFE'S A DREAM. Other credits include being a PA for AN EARLY HISTORY OF FIRE at The New Group during their 2011-12 season. Nathan Hawkins (Master Electrician/Lighting Intern) A native of California, Nathan is a fourth-year BFA candidate in the Lighting Design program at The Pennsylvania State University. Previous productions at Penn State include lighting designer for BLOOD AT THE ROOT, associate lighting designer for INTO THE WOODS, and THE HAUNTED HOUSE 2013: DEAD STATE. 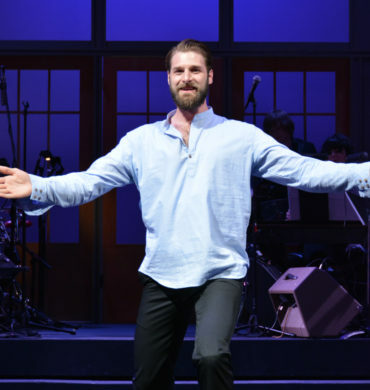 Before coming to Penn State, Nathan worked with The Annapolis Summer Garden Theater in downtown Annapolis, Maryland where he was the lighting designer for XANADU, CHICAGO, THE BUDDY HOLLY STORY and THE 25TH ANNUAL PUTNAM COUNTY SPELLING BEE. Harrison Smith (Audio Assistant/Acting Intern) is thrilled to join Infinity this summer. Previous area credits include Kensington Arts Theatre: LES MISERABLES (Marius), RAGTIME (Younger Brother), SPRING AWAKENING (Mortiz), and PARADE (Frankie Epps/Young Soldier). Annapolis Summer Garden Theatre: INTO THE WOODS (Jack), AVENUE Q (Nicky), HAIRSPRAY (Ensemble). After the last two years at AACC, Harrison will begin studying his B.M in Musical Theatre at the Catholic University of America this fall. Thanks to Alan, Anna, family and friends. Geoffrey Weiss (Assistant Stage Manager/Stage Management Intern) is a rising Senior Design/Technology major with a concentration in Stage Management at the professional training program at Purchase College, SUNY. Geoffrey spent his summer before college working on Broadway’s WICKED as the youngest stage-management intern that they had ever taken on. This past summer he interned at the General Management office 101 Productions LTD. in order to further his understanding of theatre as a business. Most recently, Geoffrey was the Production Stage Manager on THE RIMERS OF ELDRITCH with the Sophomore Acting Company at Purchase College. His other credits include: PA on multiple events with the 92nd St. Y, PA on The American Theatre Wing’s Gala (2012); Assistant Stage Manager on MUSICAL THEATRE with the Conservatory of Dance of Purchase College; Stage Manager on DIE FLEDERMAUS with the Conservatory of Music of Purchase College; Stage Manager on JOE TURNER'S COME AND GONE with the Purchase Repertory Theatre. Evan Bradley-Lewis (Crew Intern) will be a Senior at SPHS this fall and will begin his studies at AMDA in the summer of 2015. Favorite Credits: Aldolpho in THE DROWSY CHAPERONE (Talent Machine Co.), M. Thénardier in LES MISÉRABLES(SPHS), Jim Haller in ALL SHOOK UP (Talent Machine Co.). He'd like to thank his parents for all of their support over the years.